WHICH DAYTRIP SHOULD YOU CHOOSE? Northern Doñana: the greatest european wetland. 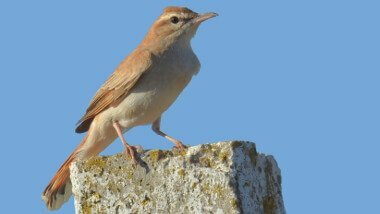 The greatest diversity of birds and habitats that Doñana offers. Ricefields, lakes, marshlands, forest…and a long list of birds. ¡At only 30 km away from Seville! Southern Doñana: land and sea. This area is the best in Doñana to observe the threatened Marbled Duck and White-headed Duck. Balearic Shearwater and the rare Little Swift can also be spotted here. Around El Rocío, we can find a great diversity of habitats and birds. In this area we have the best forests of Doñana and a lot of paths to enjoy birding and walking. Strait of Gibraltar: between two continents. It is one of best worldwide points to observe migrating raptors. 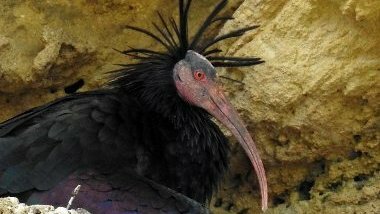 Furthermore it is the land of the Northern Bald Ibis, one of the most threatened birds in the world. Sierra Norte of Seville: the raptor paradise. In this route the three biggest eagles: Spanish, Golden and Bonelli’s can be spotted. Also the Black and Griffon Vulture…and a lot of mediterranean passerines. Seville Countryside: the land of the Bustards. Our route for the steppeland birds: Great and Little Bustards, Black-bellied Sandgrouse, Rollers, Lesser Kestrels…And also so many different brackish lagoons plenty of waterfowl. Brazo del Este: the little Doñana. This place is sometimes even better than Doñana. It has the advantage of keeping water in the summer season, collecting together a fantastic amount of birds. Grazalema & Ronda Mountains: the last Spanish Fir forest. Nice mountains to spot cliff raptors (Bonelli´s Eagle, Egyptian Vulture…) and mediterranean passerines. Also, it is one of the last refuges of the Spanish Fir tree. Tailor-made daytrips: that is your choice. If you want to visit other areas or you are looking for a particular bird, just ask us. We know perfectly all the Andalusian birding hotspots.